To develop products to help every student realise their full potential and inform their institutions in how to deliver great, individualised learning. We do this by supplying a learning analytics platform service to UK higher education institutions by leveraging their existing data and turning it into Actionable Insights which support positive student outcomes. Fill in your details and we’ll be in touch. What element of Solutionpath Stream product are you interested in? Howard, CEO and Co-founder of Solutionpath had the crazy idea of building an educational analytics business when HP acquired Autonomy in 2011. He was introduced to a team of developers, data scientists and programme managers at the University of Manchester with Autonomy-focused skills and a higher education research data repository mining solution, and whom were looking for a commercial home. Unfortunately, research data repository mining had little commercial scope, so Howard sought other higher education sector problems to solve. He recognised that the imminent UK university change in course fee structure would transform students into valuable consumers overnight. As a result, the Solutionpath business, and its StREAM solution were born, enabling institutions to retain students and enhance their academic journeys using both historical and real-time data. Howard has studied at the Harvard Business School and Cranfield University School of Management, and is a true entrepreneur and respected IT visionary. His business philosophy is based on building long-term relationships with partners and clients by delivering long-term business value and outcomes. When not immersed in his work, Howard spends his time with his family at his homes in North Yorkshire and South Wales. He is a keen polo player and skier. Richard spent his formative years in the military as a communications engineer serving in many conflict areas. It was here he learnt how critical it was to get the right information at the right time. Richard started his IT career at a small PC repair business in North Yorkshire before taking a role in software engineering where he represented a Global Bank delivering automated payment solutions for both international and UK businesses. In the past 15 years Richard has held several key operational management positions that have included responsibilities in both technical and sales. This has allowed him to understand how information technology can be transformative by enabling business change. During this time Richard has also worked in, and started a number of entrepreneurial endeavours which range from web content management, email security, a data centre company and even a solar panel business. 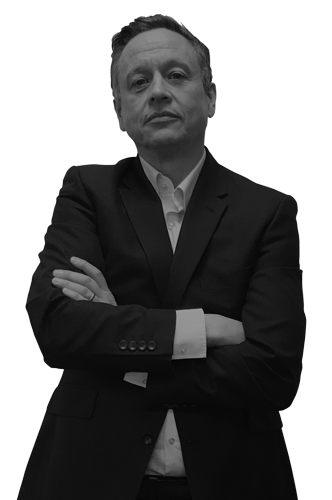 Richard now leads the Solutionpath business and product strategy, anticipating and interpreting customer needs and conceptualising the solutions needed. 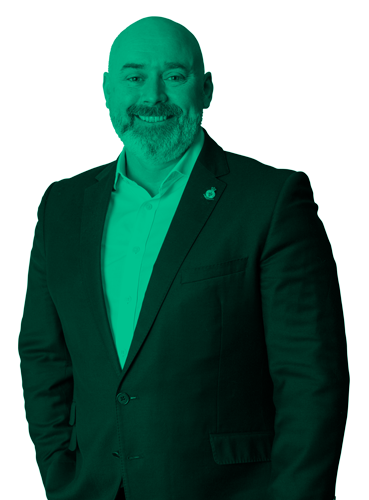 Richard spends a significant amount of time in front of prospects and customers, evangelising and understanding the complexity of how technology can enhance learning and student experiences. 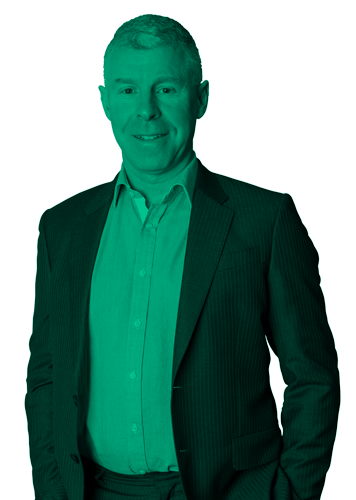 Andy has worked within the higher education sector for over 20 years. Previously running one of two academic data centres in the UK, he developed an academic web discovery service by combing services from seven partner universities into a single system that serviced 50 million global unique users per month. Andy developed the first commercial software product ‘Historic Books and Journals service’ for Jisc, -the body that represents the UK’s further and higher education sector on educational technology standards initiatives – which is now used by every university in the UK. As a first-time founder, Solutionpath’s StREAM product is Andy’s brainchild. 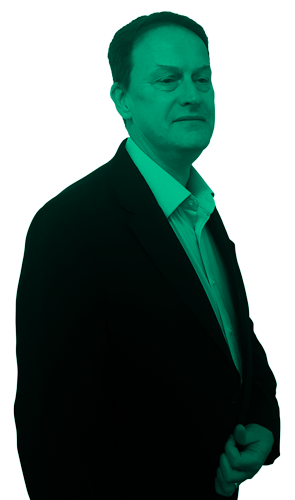 David has over 20 years’ experience working within the higher education sector, having held senior sales and leadership roles within the IT vendor and reseller communities, including Hewlett-Packard Enterprise, Oracle, Sun Microsystems and DTP Group. As Sales Director for Solutionpath, David draws on his experience to collaborate with university clients to provide solutions that help deliver tangible benefits back to the university and its students. David lives in York with his wife and children and enjoys going to live music gigs in his spare time. Co-founded in 2013, the idea of Solutionpath came from the three co-founding partners as a result of long-standing relationships with many the higher education institutions. It was clear to them that higher education was changing rapidly, placing pressure on both the institution and the students. Howard, Richard and Andrew set about looking at ways in which they could create something that could help support universities to be more responsive to the nuances of their business, as well as give students a much needed vehicle for support. As a result, in 2014 they embarked on a proof of concept initiative in-market. The first iteration of StREAM was tested with Nottingham Trent University, who have remained a strong advocate and partner in our journey ever since. In 2015, our team looked to make strides in commercialising the product by bringing David Cole into the business; completing our leadership team and setting us up for the next stage of our journey. Since then we have made great strides in further iterations of our product and brought a number of great institutions into our community. Together we are working on improving the learning journey and education experience within the higher education sector; moving fast to support issues as they arise through close collaboration with our market customers and partners. Collaboration with our community is primary to our ethos as without it we wouldn’t be able to do what we do every day. We have worked in partnership with some of the top UK higher education partners to create our product and we are collaborating all the time with thought leaders and educators who share the same goals as us – to support universities in the personalisation of the learning journey to ensure an equality of opportunity for all. We want to ensure all those who want to learn and progress in life are given the best chance to do so through inclusivity, engagement and support. We know from empirical evidence that engagement is the best predictor of success and it is something that the tutor and tutee can directly impact – actionable insights are what matter! That’s why we have created the StREAM Engagement Score as a common metric, a measure that is both easy to understand and non-biased. Using data to drive actions and make decisions is the core of what we do. We do this through the collation, transformation and sharing of educational data and insight. We do this carefully and responsibly, ensuring that all the data we collate is for the good of the education experience and given back to the community that contributed to it. We believe that the transparency of data and insight can drive the collective effort in the most meaningful way. We want to ensure all those who want to learn and progress in life are given the best chance to do so through inclusivity, engagement and support. We know from empirical evidence that engagement is the best predictor of success and it is something that the tutor and tutee can directly impact - actionable insights are what matter! That’s why we have created the StREAM Engagement Score as a common metric, a measure that is both easy to understand and non-biased. At NTU we needed a way to look forward and exploit our existing data to the best advantage of our students and that is what StREAM has given us”. Solutionpath and NTU worked in partnership to create and develop StREAM, we are proud partners on the journey to evolving the learning analytics landscape. UKAT is a network of multidisciplinary academic professional practitioners and researchers interested in all aspects of student advising and personal tutoring in Higher and Further Education in the UK. UKAT is dedicated to transforming advisory and tutorial practices so that every student is able to experience inclusiveness, well-being, personal growth, and achieve their full potential. KPMG and Solutionpath are delighted to be alliance partners and working together to support Universities. As Universities come under greater scrutiny the issues of progression, completion and wellbeing are even more important. Our complementary skills provide Universities with both the Solution Path technical capability to support staff and students but also, via KPMG, the change and business readiness aspects that are so important to successful projects.